Your phone with basic flash - talk & text on metro pcs. Open QPST Configuration, If your phone its not displayed , click on "Add Port ". 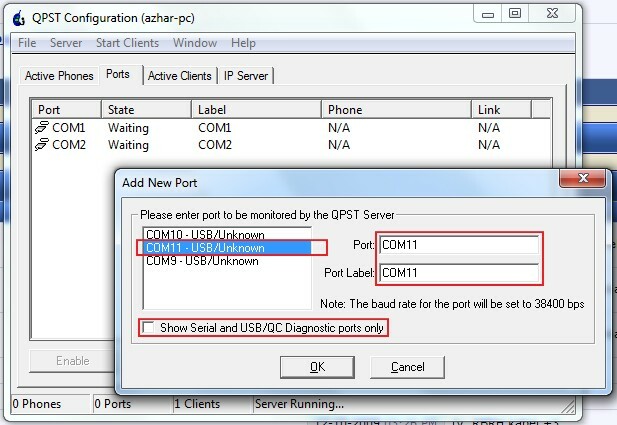 select your Phone and press OK. Once connected, Read from Phone and enter you phones SPC code Should be defaulted to 000000 . To get your MSL code go here MSL Converter and enter your MEID or ESN and click "Convert". Scroll down and will it will display your MetroPCS SPC/MSL, you will need this so write it down or save it . Navigate to the M.IP tab. For you password (MetroPCS MSL) enter into your password box. One Finished Hit Write to Phone. Your phone will reboot after its done. If You Get an Error don't worry just ignore it and reboot your phone. Phone should now have 3g or 1x data . Download APN Manager from the Android Market. Download Any Cut from the Android Market, then create an activity, apns on your homescreen. 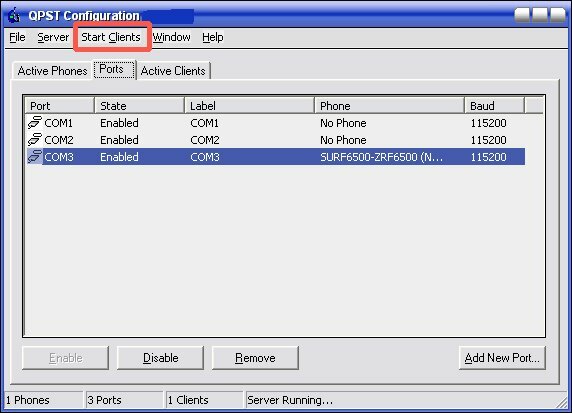 Open apns choose MetroPCS and edit then authentication type to pap or chap. If no APN exists create a new one and fill it in with the info above. All information is gathered from all forums and different sites , much thanks to those who helped by providing information on how to add data on flashed metro pcs handsets . I made this short guide to help those in need of getting data , we all know were going through some hard times with this economy . If you would like to donate - =] a quarter would be more than greatful .